In this series, I feature the stories of the world’s most interesting entertainers and artists. Today, I caught up with R&B artist and actor, Devonte Riley. CHRISTIAN VIND: What is your backstory? DEVONTE RILEY: I was born and raised in Miami, Florida, one the most diverse and beautiful places that I’ve ever known of it to be. Miami (The Sunshine State) is my hometown and my tropical paradise right along with Los Angeles. My love and passion for entertainment arrived at a very young age. Growing up, I would enjoy watching movies and when I was very young, I would go behind the television and wonder to myself if there was a “secret portal” into TV Land. I would imagine it to be sort of like a “virtual reality” experience but in real life. My imagination ran wild when I was younger! In my earliest memories as a child, I cherished my curiosity and innocence! My favorite thing was watching the music videos of other musicians such as Michael Jackson, Brian McKnight, Babyface and Joe which led me to study their music, lyrical structures, and talents. I often mimicked them at times. It was fun! I was a star waiting to shine! CHRISTIAN VIND: Is acting therapeutic? If so, what are some things that bring joy into your life by being an actor? DEVONTE RILEY: That is a very good question! I do believe acting is very therapeutic! You get to step outside of your life for a moment, only to walk inside of a new person’s life. As an actor, any character that you embody may be someone else’s current situation or a previous experience that they remember vividly. It really fills my heart with appreciation to see someone touched by my artistic abilities, especially when a character that I’ve portrayed relates to the viewer. One day, I’ll be known for a role that has touched many lives. I would feel honored to have someone approach me and express how well I’ve done in a television project that they’ve seen. With that kind of technique, it would allow my viewers to have a better outlook on the characters that I portray. CHRISTIAN VIND: What are some of the pro’s and con’s in the music business that rising artists should know? DEVONTE RILEY: I’ll begin with authorization and creativity. You have full authorization and creativity to be the artist YOU WANT to be! We live in a time and space where you can craft your own projects on a shoe-string budget and release your project at the snap of a finger. Not that a shoe-string budget is unacceptable, but you’re able to work at your own pace with your own budget and I love that! It’s great to be independent! Another great thing about the music business is that you’ll have full control over your marketing and advertisements unless you’re signed to a major record label. You will also be very conscious of the funds that you dish out to market your project. Marketing will come gift-wrapped with a special system called “Analytics” which basically sends the artist information about how their project is doing, charting and how much funding they have allotted. Take it from me, nobody would like to have their project sit on iTunes for an entire year and not profit anything. That is a very hurtful situation especially for a starving artist that is trying to make their recreational talents a profession. That is one of the biggest con’s about the music business, especially when you are an independent artist. I am sure most of my independent artists can relate! Another con about this music business is the people that pose as managers and publicists. It is okay to market your brand and occupation, but to misuse, a title to confuse innocent artists into thinking that you have expertise is not okay. To all of the rising artists that are reading, please be strong-minded, do research on everything and don’t think one thought about giving up on your music career. Get knowledgeable, ask tons of questions and remember, every question isn’t a bad question. CHRISTIAN VIND: What are some experiences that you can share about being a Brand Ambassador via Social Media? How well does it work for you? DEVONTE RILEY: Actually, it works very well for me! Outside of my Entertainment Career, I enjoy being a Brand Ambassador! You will definitely need to develop your social influence before considering the role of a Brand Ambassador. The way you can start developing your social influence is to find your niche. We all use social media every day for various reasons whether it be for news, communication and/or marketing. The first thing you can start to do is begin accumulating followers. These followers need to identify with your overall brand. Once you have a consistent following, you need to engage with these followers. Post great content and be consistent with your post schedule. Companies are highly interested in brands that are “traffic-magnets”. Once they see that you have captivated your audience (niche) in a unique way, they will reach out to your brand to promote their products/services. CHRISTIAN VIND: How do you balance your brand with your entertainment career when it comes to marketing? Your face is your produce. DEVONTE RILEY: Christian, that is a very great question! Balancing a brand with an entertainment career is extremely vital! If you don’t have a valuable brand that is effective in captivating the masses, your brand will then be seen as insignificant. There is one slogan that I like to always use and that slogan is “Your face is your product!”. Once you have worked hard enough to make your face known, people will tend to catch on and remember who you are. A familiar face makes for a successful brand! Once your face is out there, you will be highly sought after and opportunities will pour in graciously! It can be a lot difficult in this day in age to make your face known. You have people that are trying a lot harder to be something they are not. My biggest tip is to be yourself! Don’t try to fit in or attempt to be like someone else. How you stand out and how strategically you think will greatly affect how your image is portrayed in today’s media and entertainment. CHRISTIAN VIND: What was one of the best experiences in your life? DEVONTE RILEY: When I connected with the BET Network, that was one of the best experiences that I’ll never forget. It highlighted my 2016 and it brought on many future opportunities for my career. If any of you have a dream or a set goal, stay consistent with that goal and it will come true! 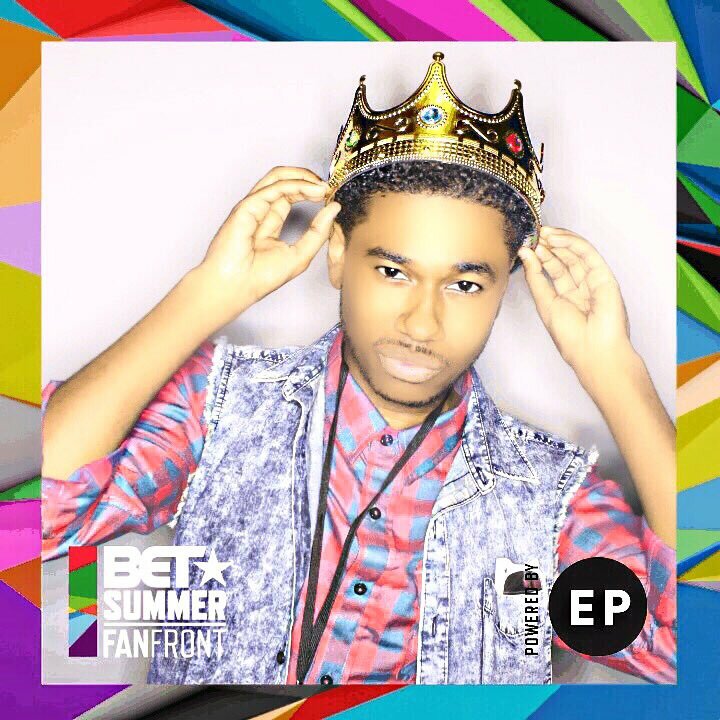 Partnering with BET was always a goal that I eventually planned on accomplishing but I never thought that my goal would arrive so early in my career! God is good and I glorify him each and every day for his blessings!